The target of this component is to train one crore students from smaller towns & villages for IT sector jobs over 5 years. DeitY is the nodal department for this scheme. This component focuses on setting up BPOs in every north-eastern state to facilitate ICT enabled growth in these states. DeitY is the nodal department for this scheme. The focus is on training three lakh service delivery agents as part of skill development to run viable businesses delivering IT services. DeitY is the nodal department for this scheme. This component focuses on training of five lakh rural workforce the Telecom Service Providers (TSPs) to cater to their own needs. Department of Telecommunications (DoT) is the nodal department for this scheme. The Indian BPO industry has witnessed significant growth over the past years and India has gradually emerged as one of the preferred BPO destinations globally. Several factors including operational cost effectiveness, availability of skilled manpower and ever-increasing demand for employment opportunities have increasingly contributed to the growth of BPO industry in the country. However, the BPO industry has largely been concentrated in and around large (Tier-I) cities where skilled manpower drawn from various parts of the country including NE Region seek employment. In large (Tier-I) cities, the recurring manpower cost to the company is considered to be higher particularly keeping in view the relatively higher cost of residential accommodation and larger travelling distance for employees. Thus, it would be prudent for a BPO Company to migrate to smaller (Tier-II/III) cities including those in North Eastern Region, as it would result in significantly reduced manpower related expenses and thus making its operations far more profitable. It is understood that key concerns for setting up of BPO operations in the N.E. Region are related to various issues including reliable internet connectivity and power supply. Citizens may apply for funding under North East BPO Promotion Scheme (NEBPS) and get 50% of the capital cost funded. Employment creation for educated and unemployed youths in NER through the IT/ITES Industry particularly by promoting BPOs/Call Centres. To promote investment in IT Sector in NER in order to expand the base of IT Industry and facilitate balanced regional development. (i) Capital Support: Capital Support up to 50% of the one-time expenditure incurred on admissible items with a cap of `1 lac per seat, whichever is lower. (ii) Rental Support: Rental Support of 50% of the actual rental expenses with a cap of `1000 per seat per month for the first two years w.e.f. date of commencement of operations, whichever is lower. 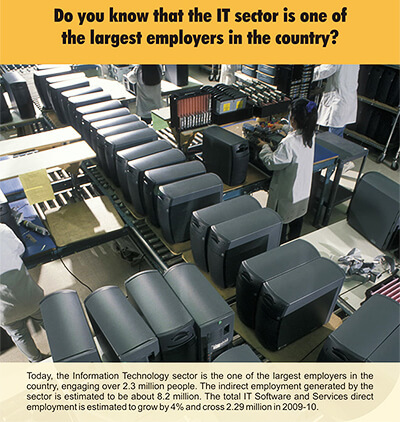 The applicant company must be interested in setting up a BPO unit anywhere in N.E. Region. The applicant company must be registered in India under The Companies Act, 1956. The applicant company must submit a proposal to establish at least 50 seats capacity and multiple thereof up to 500 seats. The applicant company must commit to operate for a minimum period of 7 years. The applicant company should have been in business of running a Call Centre/BPO in India for at least 3 years and should have a minimum average annual turnover of `5 crore for the past 3 financial years from BPO/ Call Centre operations. The application received under this scheme will be appraised on an ongoing basis by the NEBPS Appraisal Committee under the chairmanship of Joint Secretary (ICIP Group), DeitY. The capital support shall be released in 3 instalments (30%, upto 30% and up to 40%) post commencement of BPO operations subject to fulfilment of all formalities and compliance with various conditions laid down in this scheme. The Rental support shall be released on quarterly basis. The applicant Company would be required to furnish a Bank Guarantee for approved amount for a period of 2 years for each instalment under Capital Support. STPI-Guwahati and STPI-HQ are envisaged to be the implementation body of the proposed scheme. The benefits would be available till two years from the date of notification of scheme. The budgetary estimate is done for a period of three financial years. The overall financial outlay will be limited to `50 crore during the 12th Five Year Plan. A review of the scheme in the ultimate year of the 12th Five Year would be undertaken to make a realistic estimate of the likely demand for the 13th Five Year Plan (as necessary).